This was a last minute decision as I always forget about some of these great downtown restaurants. I’m really glad we remembered this place because our breakfast was exceptional. I also want to go on the record and let you know that there were Eggs Benedicts on the menu, but I did not get them. They looked good, but I am trying to not be so predictable. 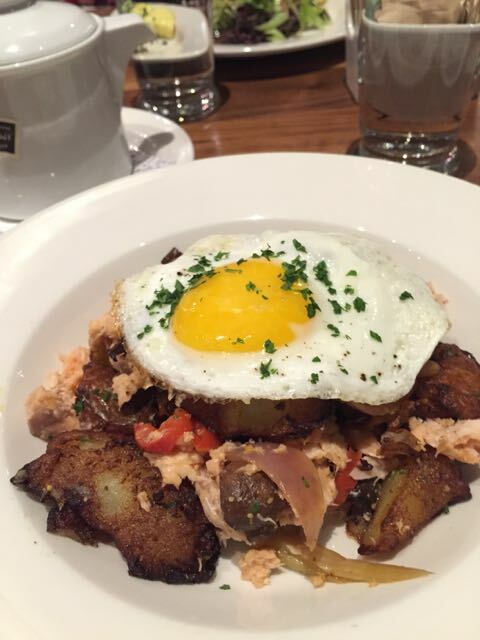 Instead I barely stepped it up a notch and ordered a Smoked Stealhead Hash, and I had no regrets. 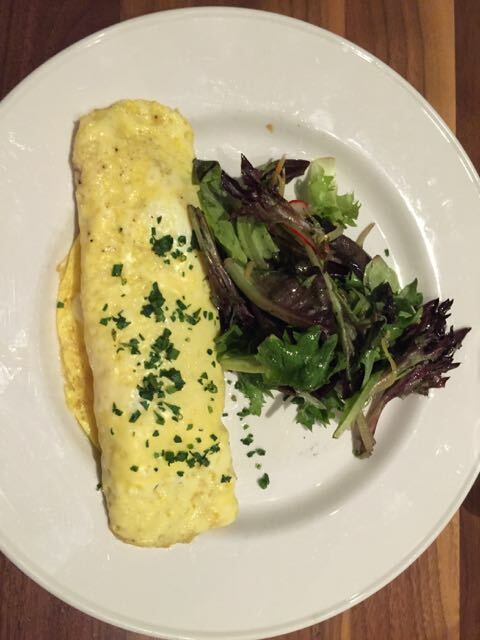 They also had a Dungeness crab omelet that tempted us, so we ordered that too. 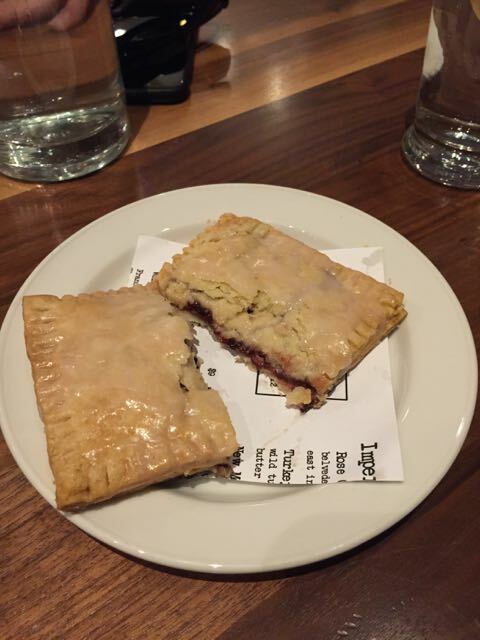 But before we had any food come out we started with a Poptart. I love that you can find these all over town. I personally didn’t like them growing up (see I have never been much of a sweet tooth) but I do like these homemade ones better. I should also add that we have eaten dinner here. It was so dark that none of my pictures turned out, but it was also exceptional. We will be back and hopefully I can bring you a full report. 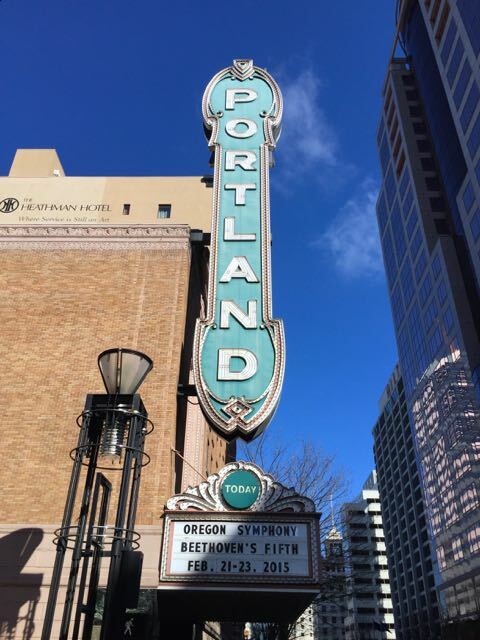 In the meantime head to Downtown Portland, try this place out then wader around this beautiful city. Where ever it is, I want to go there next. Atmosphere is a modern hotel restaurant. Actually it’s so well done you forget it’s tied to a hotel. The tables are close and it can get loud at dinner time. Prices were $15 for the Crab Omelet, $14 for the hash and just $3 for the Poptart. Drinks were the usual breakfast suspects of tea, coffee and mimosa’s. Services was excellent. We never waited for anything including refills on coffee and hot water. 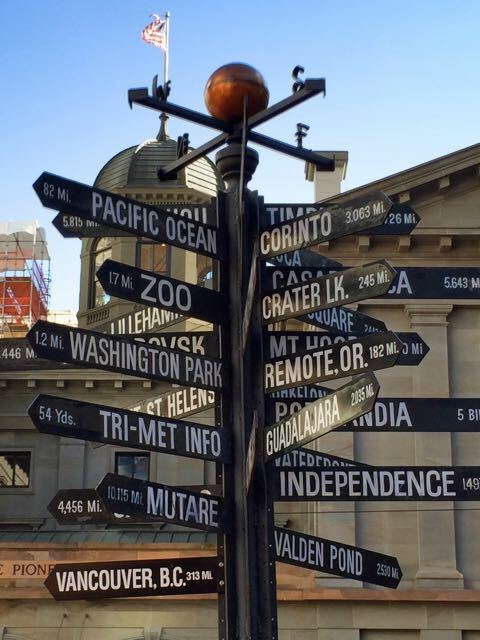 Imperial is located in Downtown Portland in the Historic Hotel Lucia. Finally went here for dinner recently and it was AMAZING! Top notch service, fantastic food. I had no idea they did brunch too. Looks so good!! Glad you liked it. I can’t wait to get back for dinner.